Check out what Mr. Bitcoin has to say: meet Ludvig Öberg! Ludvig Öberg is the co-founder of Safello, SC2BTC, Swedish Bitcoin Foundation and Satoshi Square Stockholm. One of Veckans Affärers top 101 Supertalents of 2016 with over 5 years of experience within Blockchain and Bitcoin. He started Safello in 2013 and since then it has become one of the leading bitcoin exchanges in Sweden. Last year he joined ChromaWay, that is developing blockchain and smart contract solutions. A few years ago we didn’t really know which way things would go. We didn’t know if we had to fight this technology and try to keep it out or try to join and innovate. Now I think it is clear that the second option should be taken and we need to integrate it into our systems. That, together with opening up data and encouraging open competition, can lead to better services for customers. They should not only innovate for the innovation’s sake — as I feel that most banks are innovating for the PR. They should actually look for long-term goals and how it integrates with their system and with who they are as a company. Cryptocurrencies, and blockchange technologies are game changers because they have the capabilities to change the whole financial industry not just a specific sector. I think it can do it so in a very substantial way. I see this as if it was the start of the internet, we can build new applications and a whole new infrastructure, which makes me very enthusiastic about it. Do you there throwing yourself out there? Join us and try on Startup Weekend Fintech on the 27–29 January in SUP46! 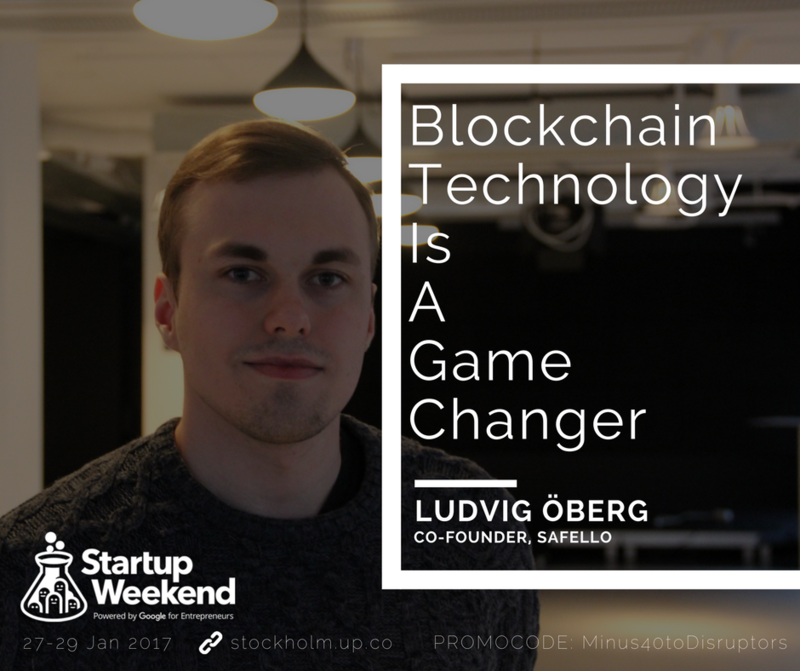 Use the code Minus40ToDisruptors to get a special -40% discount from Ludvig!